Moving anything – office, home, or retail – can be extremely stressful. First of all, there’s a lot of planning involved. Then there’s the packing. Following that, there’s the lifting, carrying and loading, which adds physical demands to the stress. Once this is done, the load must be safely transported and unloaded on the other side, and finally, you have the ‘joy’ of unpacking and organizing at your new destination! Hiring Movers and Packers in Agra remove much of the stress from this process. Our professional, experienced team possesses the expertise to handle your goods with the utmost care and efficiency. We’ll help you at every stage of the process, from packing through to unpacking, and will even do all the heavy lifting for you with expert care and technique. 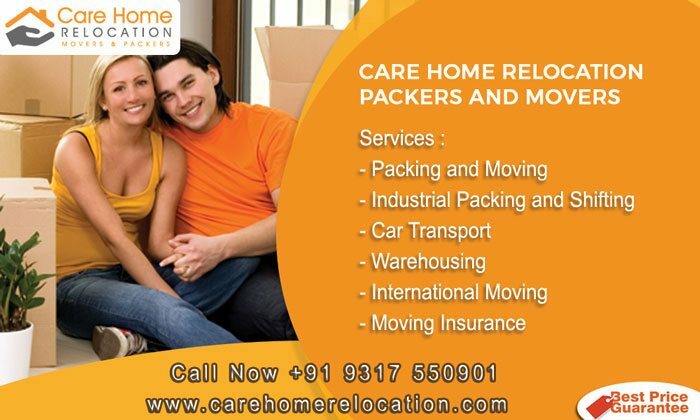 Plus, we’re fully insured and offer the cheapest packers and movers in Agra. You won’t believe how breezy – and affordable – moving can be. What are you waiting for? Give Care Home Relocation a call! Packing for international shipping is a specialized skill. Our packers and movers in Agra are trained to pack and wrap for export at our own training centre, where the benefit of best practice methods refined during our four decades of international relocations can be passed on with care. You may rest assured your valuables are in the most skillful of hands. We offer a range of packing options, and our International Relocation examiner will advise on the best options for your requirements. Our pricing for home relocation make a proper allowance for the time required to carry out export-standard wrapping of all items, including furniture, and the preparation of a comprehensive packing list and inventory once all goods are packed and protected. This should be borne in mind when considering our quote. Other firms may allow a bare minimum number of man-hours for packing. This can result in a rushed job and inadequate packing, with resultant damage in transit to personal effects and furniture. It can also result in incomplete, and thus less than useful, inventory records. Full Pack – Our standard for international shipments or consignments. We take care of everything and pack all your belongings including dismantling furniture and reassembling it at the other end. Clothing and linen will be packed in special lay-flat cartons, or upright wardrobe cartons, depending on your individual needs. Part Pack – An option for Indian consignments. We pack only your breakable and fragile items for you, blanket wrap your furniture, and then carefully unpack the fragile items onto a flat surface such as a table or worktop at your new home. Special Requirements – For large, heavy or easily broken items, or simply items that need particular care. Whether it is a piano, a safe, paintings or something of great sentimental value, we will use our specialist packing techniques and experience to ensure it is safe and secure throughout its move.